Carmen’s Corner: ARE YOU DESIGN AND TECH SAVVY? ARE YOU DESIGN AND TECH SAVVY? Interesting to notice how design inspiration comes from so many different sources, one of them being the technology! Some may say it is a result of "form follows function", the famous quote of well known American architect Louis Sullivan. 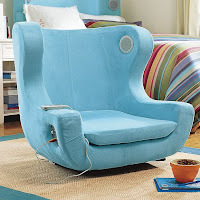 Lately I have seen many furniture and accessories inspired by the Ipod or Iphone. I suspect that in the near future we will have to look for "Ipod ready" under features and specifications. From far it looks like a wood ledge you could use for any room of your home. 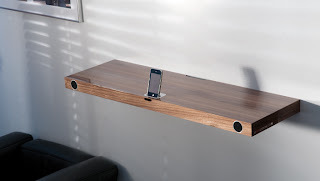 In fact it’s much more than just a piece of furniture, it has an ipod docking station and speakers incorporated, I have to say that the sleek design makes this piece of furniture very attractive. 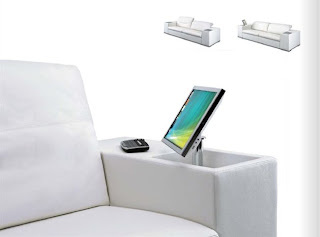 Finite Elemente, the German company behind the creation of this product, mention that you can connect your HOHRIZONTAL 51 to your TV or plug your computer in. “Re-connect with nature as you charge your apple devices.” Handmade of cedar, each piece is unique and is compatible with all iphones and all ipod devices(except shuffle). The docking stations use a standard USB plug, so it can be used to charge and sync with a computer. 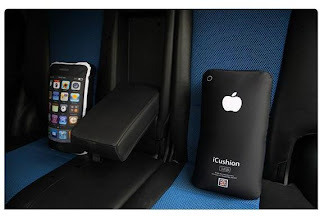 If it is for an iPhone, it came with an adapter to plug into the wall for charging. 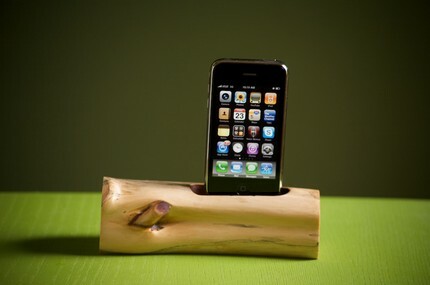 Ipod wood docking station comes in different shapes and sizes. 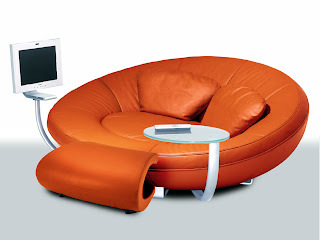 Artanova of Switzerland’s Multimedia upholstered sofa. It includes an integrated computer, an iPod/iPhone dock, MP3 player with a wireless connection over the 2.4 Ghz radio signal, an 8 inch subwoofer and series of loudspeakers. For those of you who want it, the luxury though comes for a price of approx. $15,436, which seems like a bit over the top! Another sofa customized for technology & comfort is of De Sede of Switzerland. "The DS-152 has been designed as a haven of snug shelter and relaxation. This is already evident in its unusual shape: a softly formed oval styling. There is plenty of room for two people on the comfortable seating surface surrounded by its generously upholstered ringlike back and armrests. One important aspect of relaxation in our media age is easy access to electronic entertainment. Available as an option is a flat-screen monitor that can be incorporated to transform this ultra-comfortable sofa into a multimedia control centre for TV, video, DVD or Internet. " Exotic Symphony- is the short description of this contemporary bed. 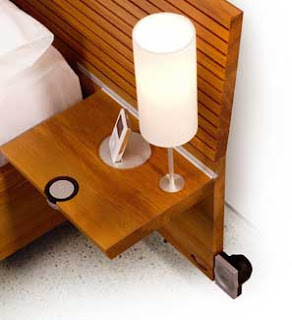 Crafted from sustainable New Zealand Rimu wood, Pause iPod bed is a marvel of sight and sound. Carefully selected timber is air-lifted out the native forest by helicopter, and a tree is planted for each removed. 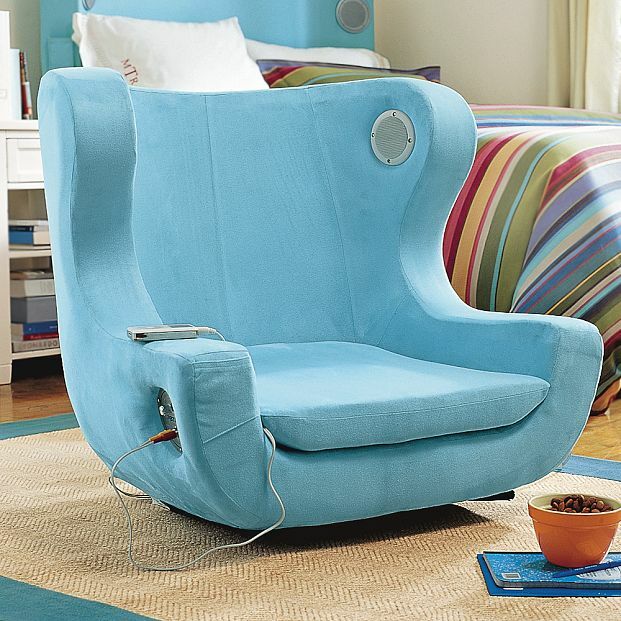 The iPod dock is embedded in a side table with aluminum detailing and optional lamps. Hidden beneath is a resonant Bose speaker system. And to ensure tranquil sleep, the bed’s base is tailored to both partners’ comfort and support requirements. 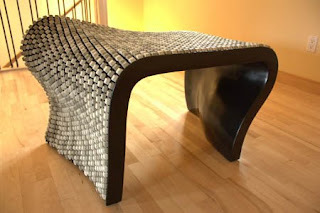 Nolan Herbut is studying Industrial Design at the University of Alberta came up with a very interesting techy design idea of using keyboards buttons to create a curvilinear stool and created the Wolfgang Keyboard bench.